Sandy Point State Park, a 786-acre park near Annapolis, Maryland, offers a variety of recreational activities including swimming, fishing, crabbing, boating, and hiking. 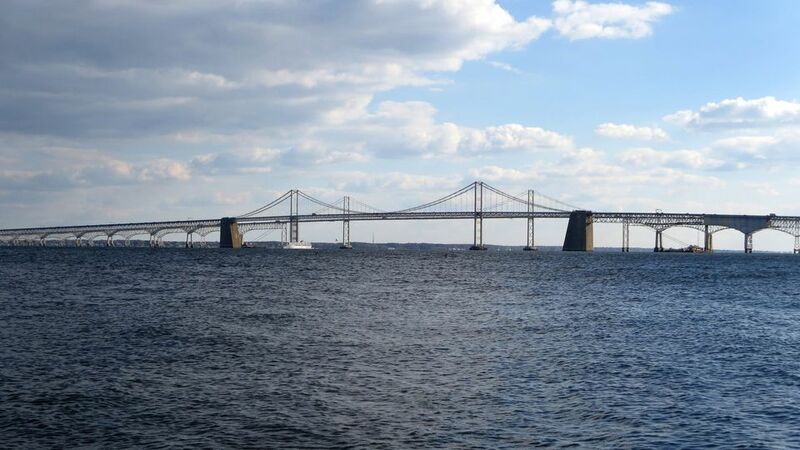 With its convenient location on the west side of the Chesapeake Bay Bridge, Sandy Point State Park is a popular destination for families during the summer months. Facilities include picnic areas and shelters, showers, restrooms, and a food concession. The park offers views of the Bay Bridge and a variety of migratory waterfowl. The beaches are lifeguarded from Memorial Day to Labor Day. During the late summer months, there may be jellyfish in the waters. Park passes - Maryland Park Service Season Passports can be purchased at Park headquarters or at the contact station when entering the Park. They can also be purchased online at the Department of Natural Resources website. Beaches and swimming - Sandy Point’s main beach is lifeguarded from Memorial Day to Labor Day, daily from 11:00 a.m. to 6:00 p.m. The beach area in East Beach, where the shelters are located, is lifeguarded when shelters are rented and staff is available. Fishing - Fishing and crabbing are allowed anywhere in the Park except in designated swimming and boating areas. The best spots are off of the rock jetties located at South Beach and East Beach. Crabbing is restricted on certain days of the week. All Maryland fishing and crabbing regulations apply. Trash Free Policy - Maryland State Parks are “Trash Free” which means that you are responsible for taking your trash with you when you leave. Shelter rentals - For group picnics and large gatherings, the park has twelve rental shelters available (by reservation only). Nine shelters accommodate up to 140 people, two shelters accommodate up to 180 people, and one shelter accommodates up to 300 people. The shelters include picnic tables, grills, and limited electrical hookups. To make reservations, call 1-888-432-CAMP (2267). Wildlife - Sandy Point State Park is home to many species of wildlife including whitetail deer, opossums, raccoons, squirrels, birds of prey, snakes, turtles, fox, rabbits, and much more. Maryland Polar Bear Plunge - Each January, the charity event is sponsored by the Maryland State Police in support of the Special Olympics. Thousands of participants of all ages take a dip in the wintry waters of the Chesapeake Bay. Maryland Seafood Festival - The annual festival, held each September, features The Capital Crab Soup Cook-off, live music performances, craft booths, and family activities. Lights on the Bay - During the winter holiday season, the park is illuminated with animated lights along the shore of the Chesapeake Bay with more than 60 spectacular displays. The address is 1100 East College Parkway, Annapolis, Maryland. Sandy Point State Park is located in Anne Arundel County, Maryland off U.S. Routes 50/301 at exit 32.